Jets took on Biggleswade in what was, on social media, tagged as a top of the table clash of the day. We are under no illusion that for us it’s a rebuilding season, a work in progress. 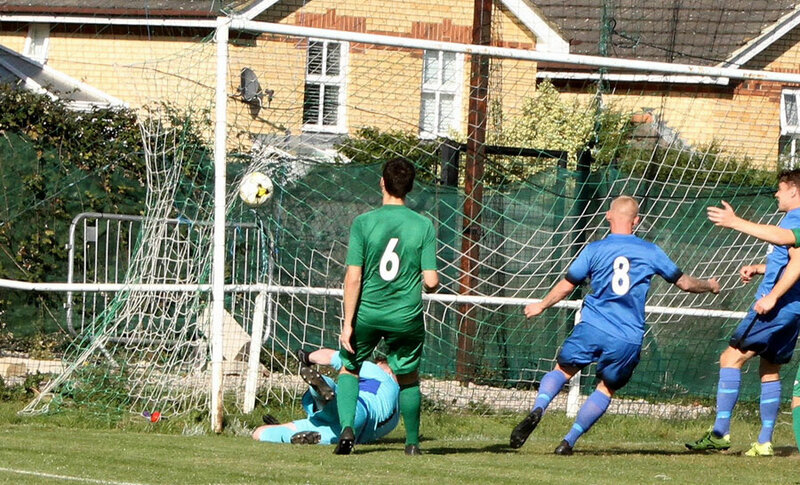 One thing that is for sure is that Biggleswade FC are the best footballing side we’ve seen and played this season. Their vision, anticipation and game pace is superb, so that said to go with them, nose to nose, goal for goal for 80 minutes is a tribute to how far we have come. The fact, however, that manager Tim O’Sullivan was so furious afterwards at the mistakes that led to the defeat is a further indication to the bar being set higher. He expected more, less expensive errors from costly showboating and more of the tigerish work and graft that swung the first half scoring too and throw. 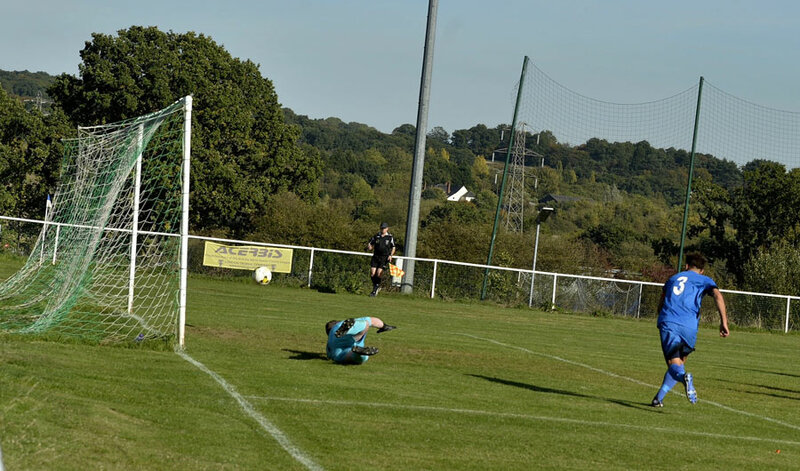 Jets took just five minutes to open the scoring on a hot Autumn day, and it was Jets Mr hot and cold that produced it as Luke Jones jinked and teed up a superb bending strike giving the keeper no chance. 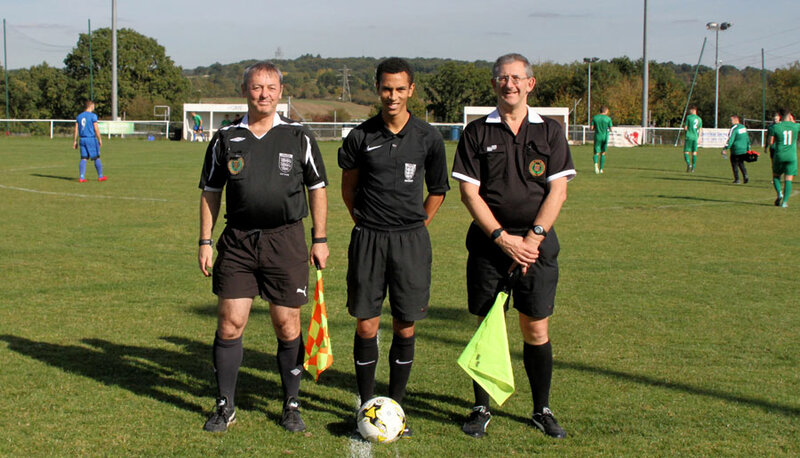 Biggleswade equalise 1-1 but even their bench thought it was offside! The chances were aplenty at both ends, and this was a match played at F1 pace, it was breathtaking and admirable. Jets conceded, and it was not made any easier to take when the away bench come up to you saying how can the assistant miss that it was a full yard plus offside! 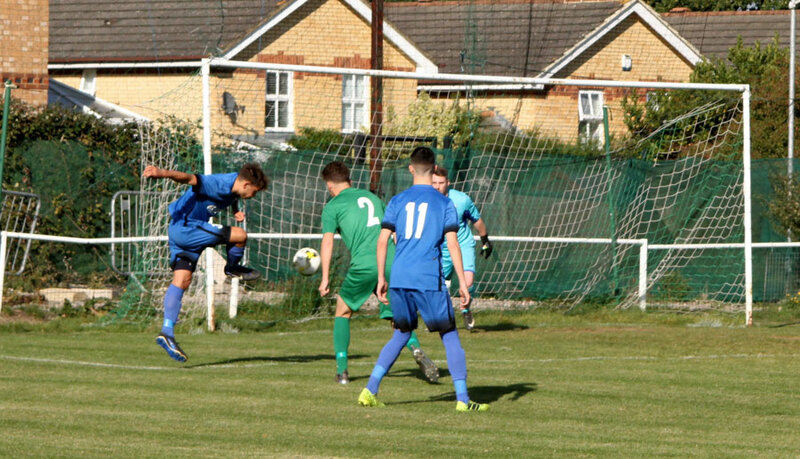 But, within a minute, Jets were left in their wake as a solo run and pinpoint low drive was touched home 1-2 Biggleswade. Jets pushed back and the visitors, having survived a big penalty appeal, were lucky to stay with eleven when a frustrated kick out was leniently let off with no card. 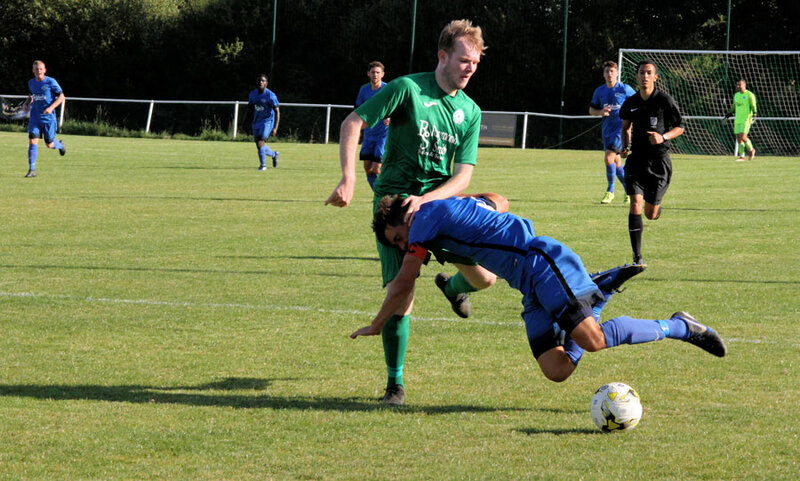 The ultimate punishment, however, was administered when the man of the match contender Andy Brennan latched onto Luke Jones perfect free kick to hammer Jets level 2-2. This time Jets made the quick double trouble, and Tom Gibson slid off silently at the back post to shoot Jets in front 3-2. 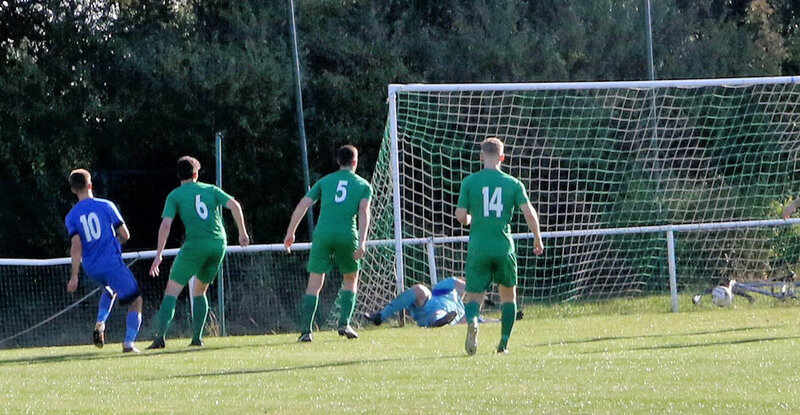 Ollie Lawton had the golden chance to open the gap when going 1:1 with the keeper but inexperience for the youngster showed here, and he who hesitates is lost as the keeper pushed him wide, and reinforcements arrived to smother the danger. HT 3-2 and everybody went to draw breath. Tight for ten, no matter what you do tight for ten was the instruction. Well, that fell on deaf ears as some of the performers from the first half turned sinners. Flicks and swerves became goals against and with just eleven minutes played it was 4-4 and Tim’s tight for ten in tatters. 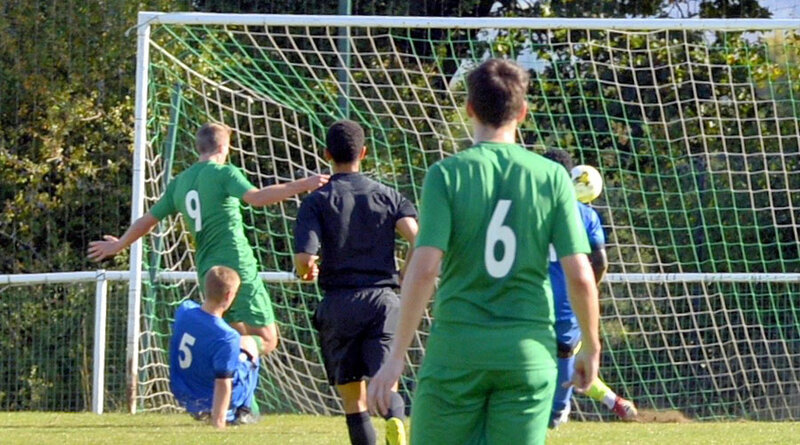 Biggleswade scored twice to shock Jets, and the manager was furious and steaming at the errors that led to it. Then the pendulum swung again, and Luke Jones ended his run with a cross-goal drive into the net and all level once more. Jets lost the two best players on the day both to injury. First Andy Brennan, and then midfield partner Leigh Stevens and FC gained the upper hand in the middle, and again it was from saint to sinner, and this FC side was far too good not to nail the chances and make Jets pay. The summary was difficult. Jets have been superb at times the last two games, but individual over confident play and flicks has been the downfall, and they have no reward in points, so unacceptable. Jets today gained nothing points wise, but plenty of accolades for the progress made so far against an excellent footballing team. 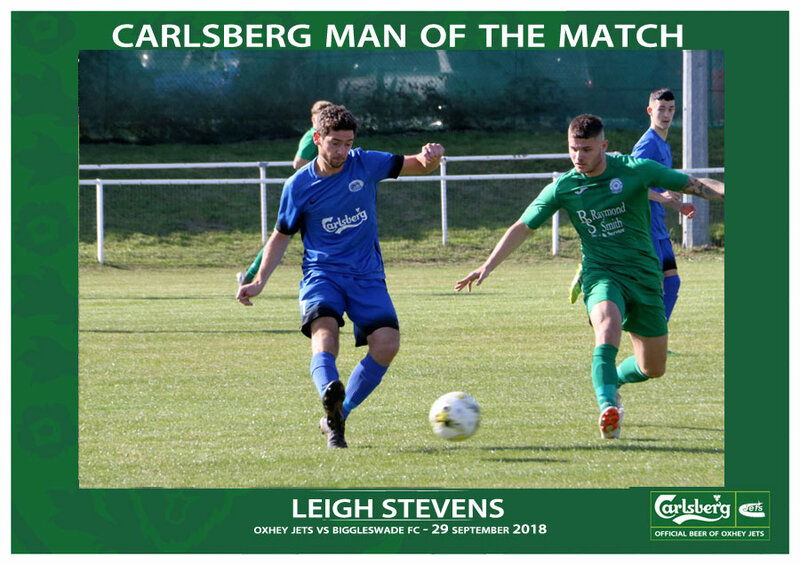 Man of the match discussions felt that, despite the goals, the defenders were relatively blameless the damage done further upfield. The two that stuck out were Brennan and Stevens, and the very tight nod went to Leigh Stevens. The Reserves continued their excellent run of form and tonight sit top of the Herts county league div one, following their 2-0 win away to Aldenham. 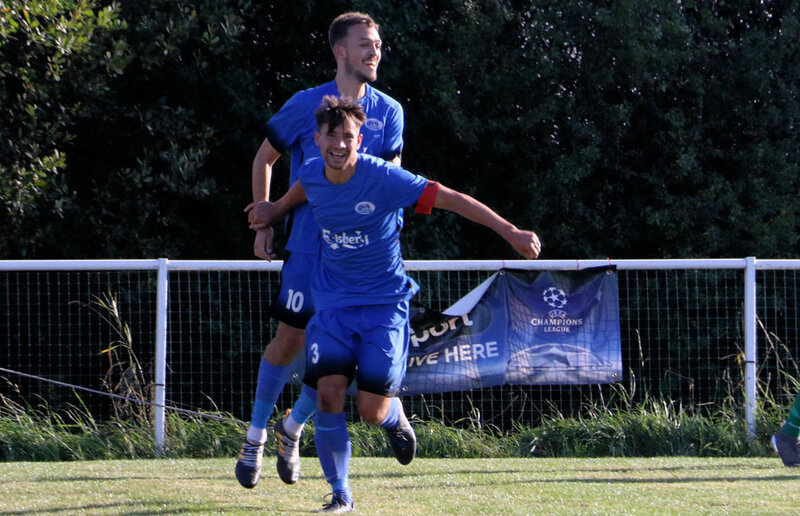 Bubbling from the 4-1 midweek win over league leaders Hadley they had immediate problems when they lost a player in the warm-up and another early on. Mike Vickers gave Jets the lead from the spot with his seventh goal of the season, and on form Sean Giodmainia, who has won himself a first-team call-up following his outstanding goalscoring run, got the second in the 2-0 win. It’s seven wins on the bounce for Jets young reserve side that takes them to top spot. Man of the match was Tyrese Wolfe who was superb all game making many vital tackles in defence then sprinting forward to support the forwards in a remarkable personal performance. Jets by their admission were not at the pinnacle of their form today but against a very changed and robust Aldenham side who pushed them all the way they won ugly. It is the points that count, and they got them, and the remarkable progress under new manager Tom Bullock and coach Steve Booth continues.